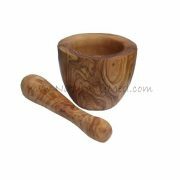 This beautiful olive wood mortar and pestle is perfect for grinding herbs and spices as olive wood is a very hard wood. 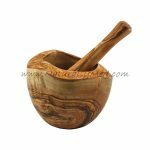 Smooth design, this mortar measures approx. 5.5″ diameter. It is so beautiful you will want it on display permanently! 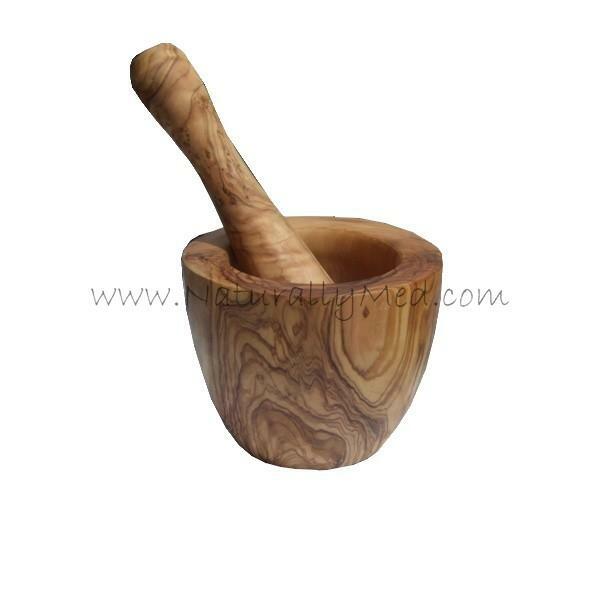 Olive wood has a very high natural oil content, meaning it effectively waterproofs itself. This means that no foods or liquids will soak in to it.